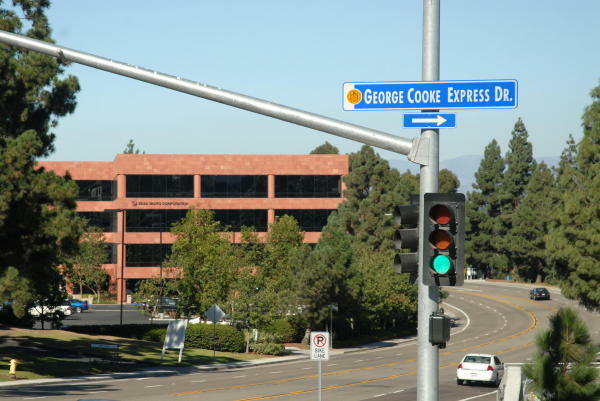 The new street that runs through the center, George Cooke Express Drive, connects West Bernardo Drive with the freeway’s direct access ramps, providing easy access to the transit station and the Park-and-Ride facilities. 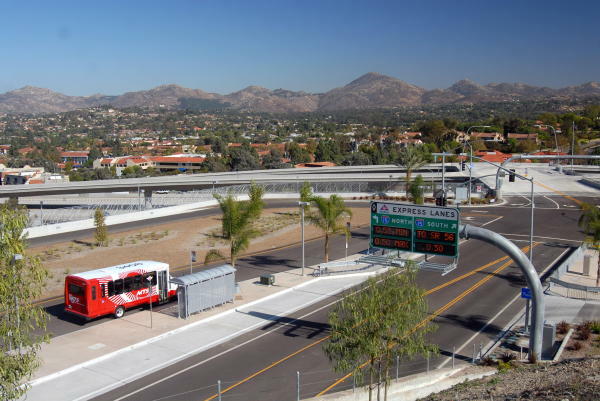 According to George, "this is a tribute to all the community volunteers who got involved working with government officials and transportation planners to find the best possible location for the new transit center". 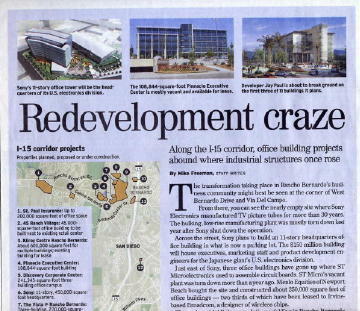 Major projects are also underway on Interstate-15 (the I-15 Managed Lanes Project) and in the Rancho Bernardo Business Park (where a "Re-development Craze" is underway). 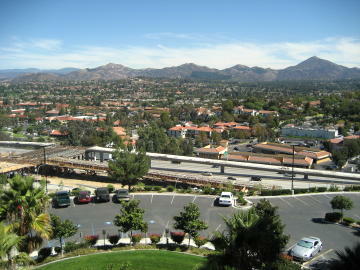 The I-15 Managed Lanes Project is well underway, with completion of the "Middle Segment" through Rancho Bernardo, and work now underway on the "North and South Segments". 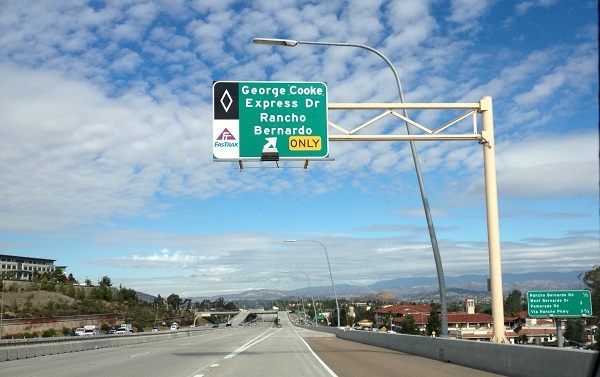 Click here for information about the I-15 Managed Lanes project.